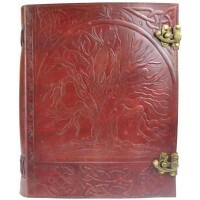 Two wolves sit at the base of the Tree of Life in this gorgeous leather journal with brass latch. 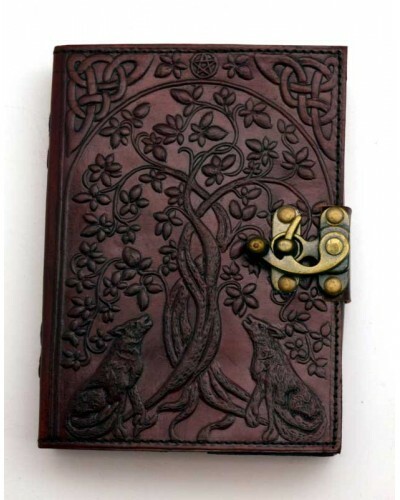 This attractive leather blank book, has a beautifully tooled front cover, embossed with a Tree that is front center, a pair of howling wolfs at the base of its trunk, an arch is embossed above, who's top corners are bordered with Celtic knot designing and a Pentacle at very top center. 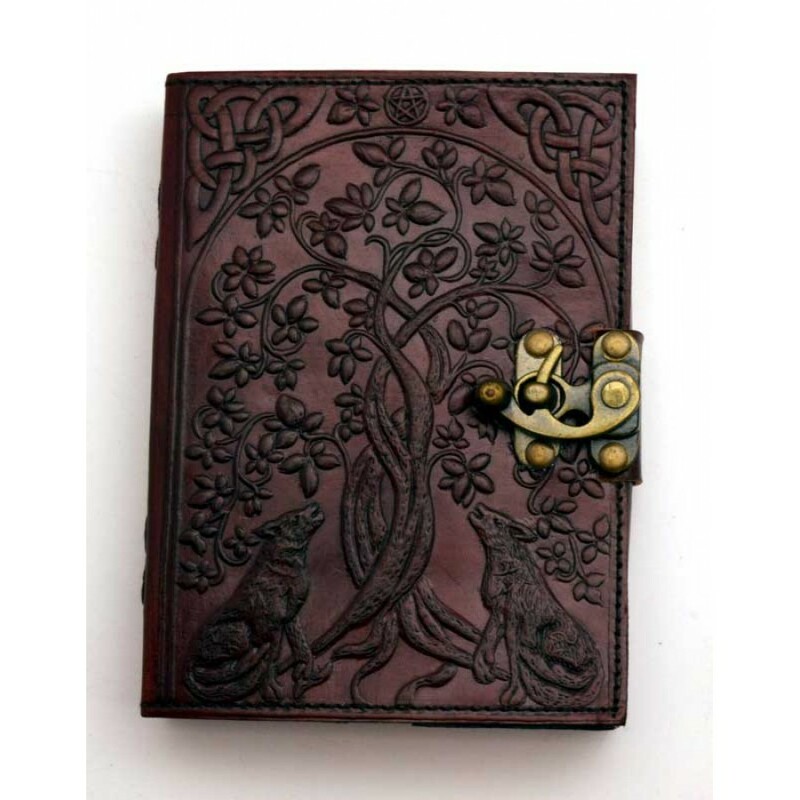 The back cover has beautiful embossed diagonal design, it's spine edge has attractive leather cross stitching, it's inside contents is secured a solid metal bronze colored latch. 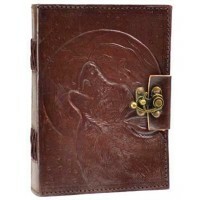 Its measurements are 5" x 7", with 240 blank (unlined) pages. 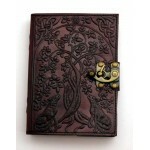 Item Number: AA-BBBL803 | Approximate Size (Inches): 5.00 wide x 1.00 deep x 7.00 high | Approximate Shipping Weight: 1.00 lbs.